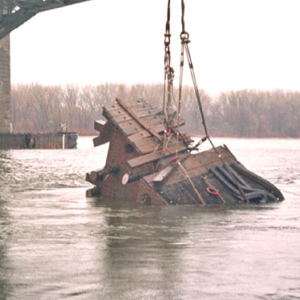 The Castle Group offers services and expertise across a wide spectrum of underwater engineering and construction needs, including complete bridge design and installation. 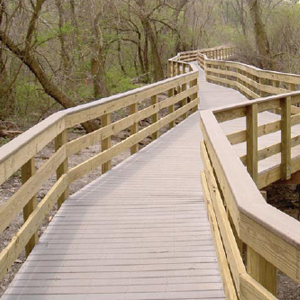 We can implement innovative designs that use steel, timber, concrete, or composite materials. From repairs to replacements, we have extensive experience working on both large-scale public projects as well as smaller projects for private owners. Our clients’ designs and materials are customized to suit their specific requirements — there is no “one-size-fits-all” approach. 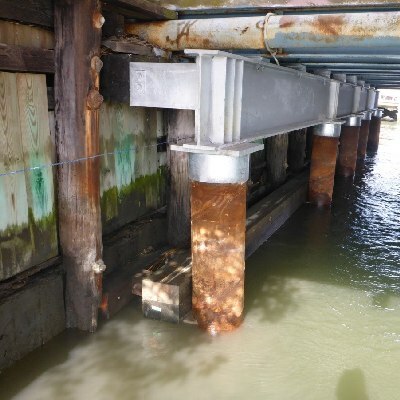 Our bulkheads and piers are designed and built to withstand the wear-and-tear we know they will take, meaning our clients get the benefits of our work for years to come. 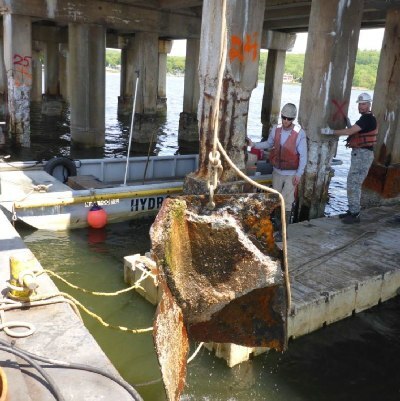 We possess the know-how and the equipment to either install or repair pilings of all types, including wood, steel, and concrete. All repairs are customized to the existing conditions and their specific requirements. 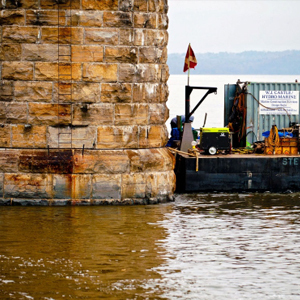 We provide a staffed and fully equipped barge capable of locating, uncovering, and lifting cable from under the channel bottom to the barge surface. This enables the most cost-effective way for utilities to perform repairs. We then set and rebury the cable to the required depth once repairs have occurred. We are Certified Helical Anchor Installers. Helical Anchor Piles can be used in a variety of situations where accessibility is an issue, or where soil integrity may be a problem. These installations can be critical to repairing foundation failures, improving tower foundation stability, and creating specialized tieback systems. Our construction inspection and management services benefit from the 25+ years we’ve been in business and our expertise will save you time and money. 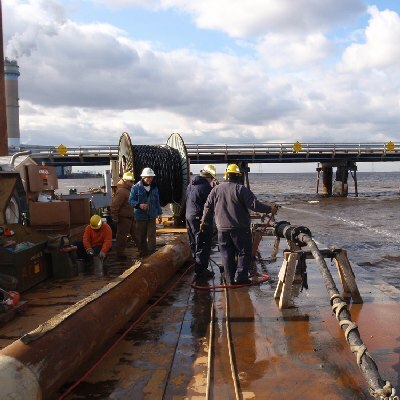 We have extensive experience dealing with various state and local agencies as well as the contractor hurdles involved in underwater construction and management. We have coordinated, documented, and removed large underwater debris from many challenging environments. Our personnel can mange and perform all the necessary steps, from locating the debris, including burning/cutting and rigging, and then removing it safely. 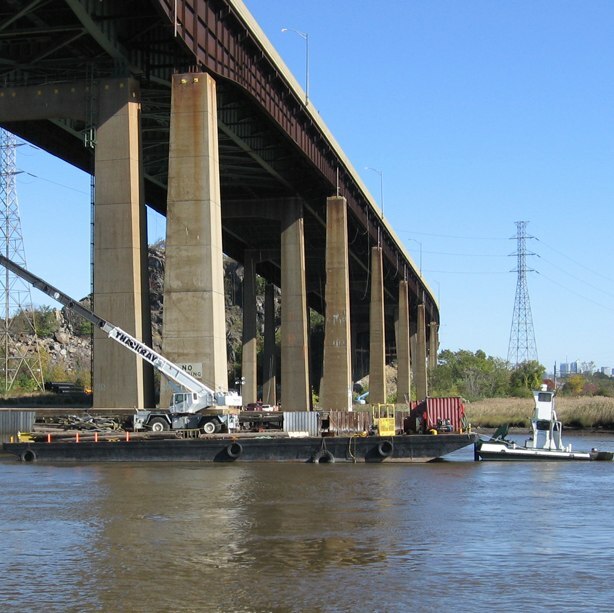 Our diverse experience with both large and small structures gives us the ability to undertake any structural marine need, such as dams, bridges, tide gates, piers, and docks. Our design and engineering affiliate, W.J. Castle, can design and document a full spectrum of underwater and diagnostic engineering projects, from simple residential needs to comprehensive state or corporate projects. 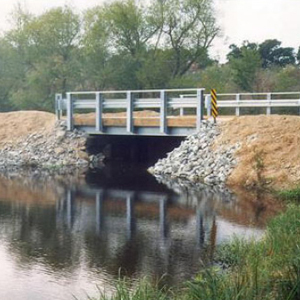 Our specialty designs cover sheeting design, bridge erection, and demolition procedures. We also can provide shoring and shielding designs as well as roll-in and jacking procedures.